“Apparently, some responsible leaders of the modern-day Ukraine are unable to understand the importance of humanitarian issues. It seems that the very notion of humanism has been forgotten,” he added. “Prepayments, made by Ukrainian side, are enough for three – four days. If [further] payment is not made, Gazprom, in compliance with this contract, will halt the [gas] supplies,” Putin said at a press conference. 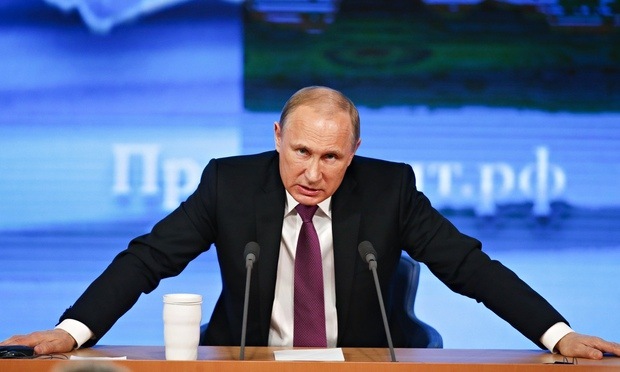 “Naturally, it may create a certain threat for the transit to Europe,” Putin added. Ukraine’s state energy company Naftogaz on Monday accused Russia’s Gazprom of failing to deliver the gas for which Kiev had prepaid. According to a statement by the company’s press service, Gazprom was to deliver 114 cubic meters both on February 22 and February 23 but supplied only 47 and 39 million cubic meters on these dates instead, respectively. On Tuesday, Gazprom head Alexei Miller, in turn, said that the amount of gas prepaid by Ukraine was estimated at 219 million cubic meters, enough for a couple of days only. Kiev’s massive gas debt, exceeding $5 billion at the time, forced Moscow to suspend gas deliveries to Ukraine for nearly six months in 2014. Deliveries resumed in early December under the so-called winter package deal, mediated by the European Union and signed by Gazprom and Naftogaz. The deal stipulated that Ukraine must pay Russia in advance for all future gas supplies.